– Nicole Tully talking about her thoughts in the middle of the race last night at the Adrian Martinez Classic, where she raced her younger sister Stephanie Schappert. It's been 50+ years since Jim Ryun ran 3:55 as a HSer, how has only 1 American high schooler beaten that since then? 14 Yr Old HS Frosh Brandon Miller Breaks Michael Granville's 1:51.03 Frosh National Record w 1:50.84! 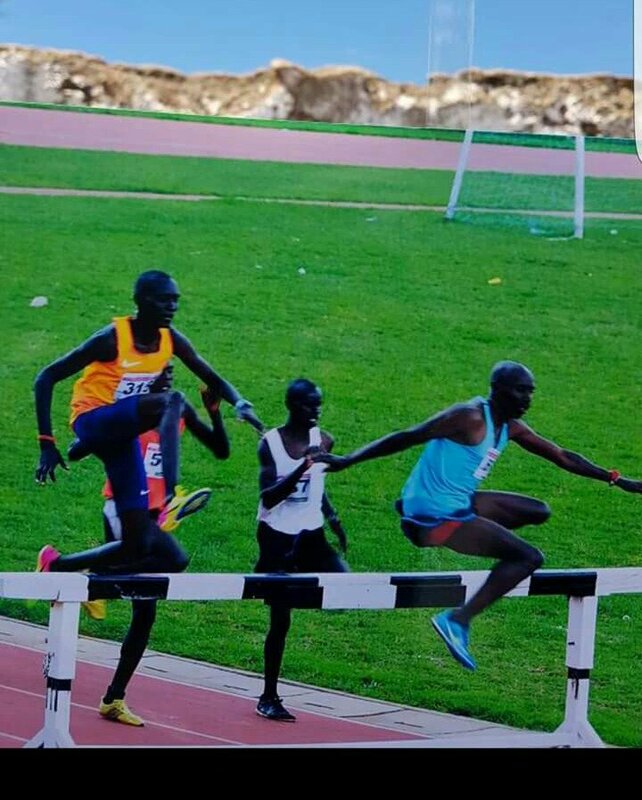 How would Eliud Kipchoge do if he stepped back on the track? Ordered shoes directly from factory. They accidentally shipped 2 pairs (and billed me for 1). What would YOU do? Should I say anything to my ex girlfriend? 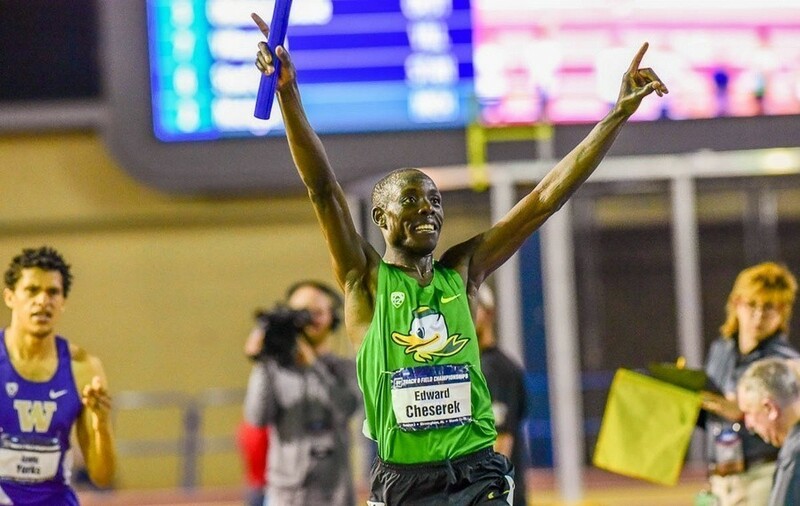 LRC Friday Recap: Muktar Edris Rips 13:01.04 5K; Charlene Lipsey (1:59.57) Keeps Rolling in 800; Gabe Grunewald Runs Final Race Before Beginning Chemo Edris outdueled Kenyan Cyrus Rutto (13:03.44). Other winners included Chris O’Hare (3:39.31 1500) and Brandon McBride (1:45.36) over Donavan Brazier & Robby Andrews in the 800. LRC Chasing Usain Bolt: After a Historic Year, Wayde van Niekerk Finally Has Permission to Run the 200 Usain Bolt doesn’t want to face van Niekerk this year at 200. We can’t really blame him. 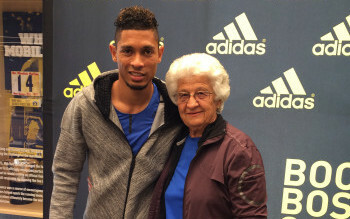 But a Bolt-van Niekerk matchup would be epic. LRC Why NCAA Regionals Should Not Be Cancelled, Jakob Ingebrigtsen Becomes The Youngest To Break 4:00* And Team USA Wins Its First Title At Bolder Boulder* We look at some crazy fast times at Regionals, plus the big American win and payday at Bolder Boulder. *USTFCCCA: Where Are The NCAA Qualifiers From? The coaches’ association lists the hometown of all NCAA qualifiers. In terms of media markets, LA (39), Houston (30), New York (30), DFW (25) and Atlanta (24) are the top 5. LRC Emails Of Month: April Fools / David Kutania Update, Criticism Of Our NOP Coverage, LetsRun.com Japan, And Horses Riding To Death We lift the veil on some of our readers’ emails. LRC Big Weekend Of Track In Boston: adidas Boost Boston Games Preview Boston is the PLACE TO BE this weekend as there are some great names entered in these two events. From sprint stars like Wayde van Niekerk, Yohan Blake, Tori Bowie, and Shaunae Miller-Uibo to mid-d and distance stars like Robby Andrews, Leo Manzano, Donavan Brazier, Dejen Gebremeskel, and Muktar Edris. Plus can HSer Casey Clinger break 4:00 in the mile? *Deep Fields Set For Boys’ And Girls’ adidas Dream Miles At Boost Boston Games Two-time NXN champ Casey Clinger leads the boys’ race while the girls’ has the top 4 in the country, headed by Taylor Roe (4:45) and NXN champ Brie Oakley. Recommended Read: IAAF Profile On The Youngest Sub-4 Miler Ever, Jakob Ingebrigsten Considering Ingebrigsten and his two older brothers are all elite milers, you may be shocked to know neither of their parents have any background in athletics. But that didn’t stop their dad from learning everything he could so he could coach them. *MB: The Ingebrigtsen brothers all run Sub 4 at Pre – Have 3 Brothers ever run Sub 4 on the same day? 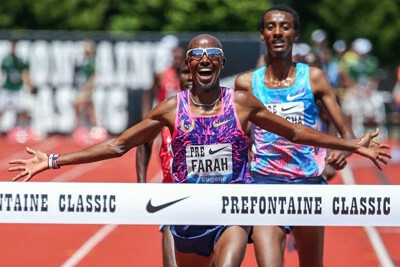 Doping News: Farah Splitting From Salazar? Source Says That Mo Farah Will Distance Himself From Alberto Salazar After 2017 Worlds Farah will reportedly work with British Athletics coaches as he transitions to the marathon. 16-Year-Old Indian Javelin Thrower Rohit Yadav Tests Positive For Steroids Yadav won silver at the Asian Youth Championships. 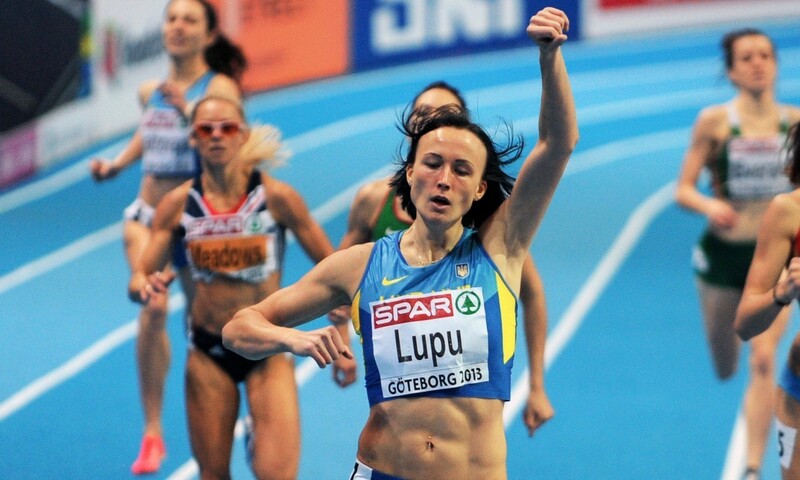 Ukraine’s Former World Indoor 800m Silver Medalist Natalia Lupu Gets 8-Year Drug Ban For A Second Doping Offense Why not a lifetime ban for a second offense? Also, while it was announced by USADA in 2014, the IAAF confirmed an 8-year ban for Jon Drummond. IAAF Doping Review Body Rejected 28 Russian Applications To Compete As Neutrals 27 more cases are still under review. 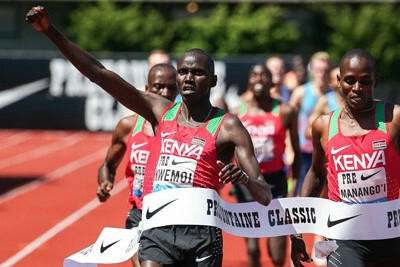 LRC Asbel Kiprop Tries The Steeple, Andrew Wheating & Clayton Murphy Are Training Buddies – What We Learned From Being In Eugene For The 2017 Pre Classic There are some things that can only be learned from being on the ground at a meet. 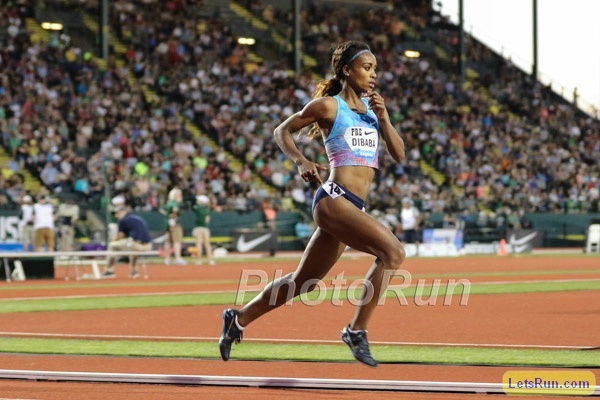 Get the inside scoop from the 2017 Pre Classic, including learning what changes Emma Coburn is making in 2017 now that she’s being coached by Joe Bosshard and not Mark Wetmore/Heather Burroughs. 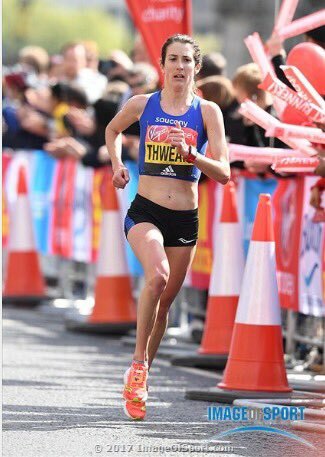 July 4: American 10K Record Holder Shalane Flanagan To Return To The Roads At The 2017 AJC Peachtree Road Race This will be Flanagan’s first race since she finished 6th in the Rio marathon. Celliphine Chespol Had No Idea She Broke 9 Until After The Race – Says She Now Wants The WR It’s also revealed that she has the same coach as Ruth Jebet. David Rudisha Calls His 2015 World Gold – Not 2012 WR And Gold – The Most Satisfying Moment Of His Career Coming back from injury and proving the critics wrong is always nice. 40-Year-Old Philo Saunders Set To Challenge Bernard Lagat’s 1,500 40+ WR Of 3:41.87 In June Pretty impressive if he does it as his PR is 3:41.22 and dates to 2005. He’s also hoping to break 4:00 in the mile for the 1st time in his life. Kenyan Runners Are Accused Of Being Rude While Training – The Pros Say The Taxi Drivers And Pedestrians Are To Blame Some runners have been accused of slapping people who refuse to get out of the way. Boston Red Sox To Hold Marathon Inside Fenway Park It will take 112 laps and you have to raise at least $5,000 for charity as it’s being limited to 50 runners. A Look At The Georgia HS XC Team That Has Won 3 Straight XC State Titles Thanks To Its Diverse Team Makeup This years’ team had runners from Congo, Somalia, South Sudan, and Ethiopia. Spikes Takes A Look At Individual Event Stars Who Have Done Multis Over The Years From Barbora Spotakova to Nia Ali and Renaud Lavillenie. European Hurdles Champ Cindy Roleder Credits Her Improvement To The Fact She Decided To Train For The Heptathlon She points out that Dafne Schippers best year came after she was training for the multi. 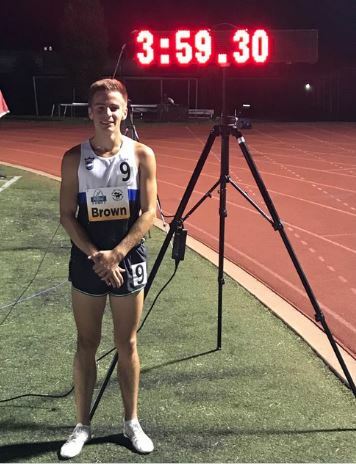 LRC Reed Brown Runs 3:59.30 Mile To Become 10th US High Schooler Under 4:00 At St. Louis Festival Of Miles Brown sits at #4 all-time in the high school ranks thanks to a 57 last 400. It’s the 5th time in 3 years that a HSer has broken 4:00. *MB: Reed Brown breaks 4! *MB: It’s been 50+ years since Jim Ryun ran 3:55 as a HSer, how has only 1 American high schooler beaten that since then? LRC Adrian Martinez Recap: David Torrence Blasts 3:53.21 Mile To Lead 8 Men Under 3:57; Nicole Tully (4:30.22 Mile) & Marielle Hall (8:55.55 3K) Nab Big Wins A great day of racing outside of Boston. Other winners include Ryan Martin (1:46.03) and Ce’ira Brown (2:01.10) as Ole Miss redshirt Robert Domanic ran 3:5.4. Plus we have a Leo Manzano update. *MB: Adrian Martinez – Top 10 under 4:00, 8 break meet record. *MB: ADRIAN MARTINEZ USES WRONG MILE START LINE?!?!?! We’re not going to lie, the picture looks very shady but we’re on site and have confirmed the correct start line was 100% used. *MB: Is David Torrence the fastest Peruvian miler of all time? *MB: Chris Giesting, Hoka NJNY 1:46 in first season! Alan Abrahamson: “If a track meet happens in the forest, does it make a sound?” Abrahamson thinks if the sport is ever going to be popular, we need to stop holding every meet in Eugene. 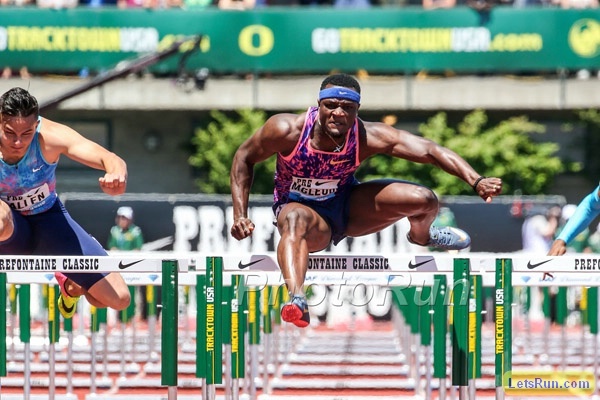 *Ken Goe Responds: “Don’t Blame Eugene For The State Of The Sport In The US” Goe says it’s “not Eugene’s fault” that Pre is the only DL meet in the US, pointing out other big meets like the adidas GP in NYC didn’t survive. Race Day Make-Up Is A Big Thing For Raevyn Rogers Rogers spends an hour-and-a-half of her pre-race routine on her appearance. This emphasis on looking “girlier” goes back to when she was in middle school and people compared her to a boy because she was good at sports. 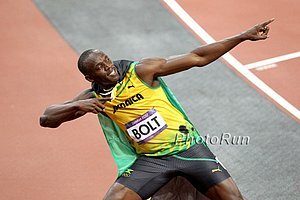 The Gleaner: “Salute To A Legend” – Big Celebrations Including Fireworks Planned For Usain Bolt’s Last Race In Jamaica Bolt will run his final race in Jamaica next Saturday at the Racers Grand Prix. Usain Bolt Is Ranked 7th Most Popular Athlete In The World In ESPN’s Latest World Fame 100 List Soccer player Cristiano Ronaldo is ranked #1. Usain Bolt Is Retiring After This Year, But His Coach Glen Mills Is Not Mills will keep coaching and wants to build a new stadium in Bolt’s honor. Jamaican Journalist Thinks Elaine Thompson Has Been Racing Too Much And “Needs A Breather” All we can say is she hasn’t raced any more than one of her biggest competitors, Olympic silver medalist Dafne Schippers. LRC Workout Day With Team New Balance Boston Olympic Trials 6th placer Liz Costello and 5-time Swedish national champ Anna Silvander share a 3-minute video on what a workout day is like for them. Men: Bolder Boulder 2017: Gabriel Geay Of Tanzania Edges Leonard Korir For Individual Title But Team USA Wins 1st-Ever Title Leonard Korir was 2nd, Sam Chelanga 3rd and Diego Estrada 9th as Team USA edged Ethiopia 13-15. Santa Monica Part II? Carl Lewis Launches A New Pro Track Club Called Team Perfect Method “I am focused on getting Americans ready to make the Olympic team. Most of the athletes who run for Team Perfect Method will be UH athletes, and UH is allowing us the opportunity to allow athletes to stay in Houston and train here and be part of it.” They also will be marketing to recreational athletes. 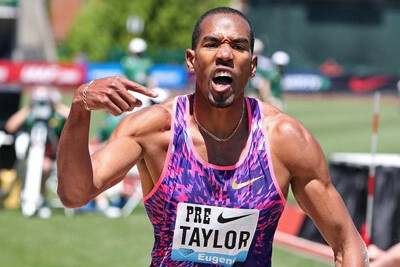 Track And Field News’s Men’s Best-Ever Marks-For-Place For All Events Want to know the best time that ever finished third in a 5000? They’ve got you covered. Garry Hill Was For Scrapping The World Records … 17 Years Ago It would have been cool to start over in 2000. Ryan Fenton Remembers His Former 4 X 400 Teammate And Navy Seal Kyle Milliken, Who Was Killed In Somalia In May Tom Brady remembered him as well. Even Though Justin Gatlin Is Only The 11th-Fastest US Sprinter This Year, He Tells Reuters He Considers Himself To Be The Man To Beat At USAs At Age 35 And TFN Agrees Gatlin’s 10.14 is misleading as it was run into a huge headwind and he has run 9.97 windy. Dayron Robles, 2008 Olympic Champ, Is On Comeback Trail At Age 30 After Missing 2016, Remaining Loyal To Cuba He hopes to emulate Allen Johnson, who was still going strong at age 37. And he loves his native Cuba and has opened a gig where tourists can stay with a real Cuban family. Sally Pearson Recalls Her Days As A Junior Star She won her first U-20 Australian crown at 14 and then went on to win World Jr. 100H gold and place 5th in the 200. Brett Larner Compares The Spring Marathons And Determines Tokyo – Not London – Comes Out On Top (At least in terms of sub-2:10s) 12 guys broke 2:10 in Tokyo whereas only 6 did it London. 9 did it Paris and Rotterdam. London clearly led the world in sub-2:28 women’s performers this year. Wilson Kipsang Is Racing A Half This Weekend In The Czech Republic In his first race since running 2:03:58 in Tokyo, he ran 28:26 in Manchester last week. Anti-Doping Agency Of Kenya Says Athletes Who Skipped A Recent Anti-Doping Seminar Might Be Banned From The The Trials There is no way this happens. IAAF Ratifies Multiple Distance World Records, But They All Belong To Joyciline Jepkosgei In case you forgot, Jepkosgei set three other records (10K, 15K, 20K) enroute to her 64:52 half marathon WR. The Future Of Women’s Sports Is At Risk: MB: Transgender Athlete Wins Connecticut Girls’ 100m And 200m State Titles Andraya Yearwood is a transgender sprinter who competed as a girl for the first time earlier this year. While we support Yearwood’s right to identify as she chooses, a biological man competing against women without hormone treatment is blatantly unfair. Brandon Miller Runs National Freshman Class 800m Record At Missouri State Champs Miller ran 1:50.84 to win his first state title. 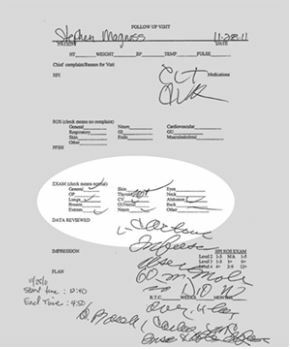 BBC/ProPublica Dr. Brown Also Doctored Steve Magness’ Medical Records Magness has revealed that the records that Dr. Brown turned over to USADA do not match the ones that Dr. Brown gave him. Dr. Brown changed them to make it look like he gave Magness a full medical exam prior to giving him L-Carnitine. IAAF Approves Three More Russians To Compete As Neutral Athletes Sprinters Kseniya Aksyonova and Vera Rudakova and javelin thrower Vera Rebrik can now compete unattached. Russian Race Walk National Champ Pyotr Trofimov Gets 4-Year Doping Ban Trofimov was caught with the biological passport. Despite Regional Hiccups, The Oregon Women Are The Strong Favorites Going Into NCAAs Arkansas and LSU stay in the #2-3 spots. Texas A&M Remains Ranked #1 Going Into NCAAs Florida and Alabama are ranked 2-3. Event-By-Event Top 10 NCAA Marks From Regionals Weekend The fastest steeple times for the weekend came from Louisville’s Edwin Kibichiy (8:32) and New Hampshire’s Elinor Purrier (9:50).